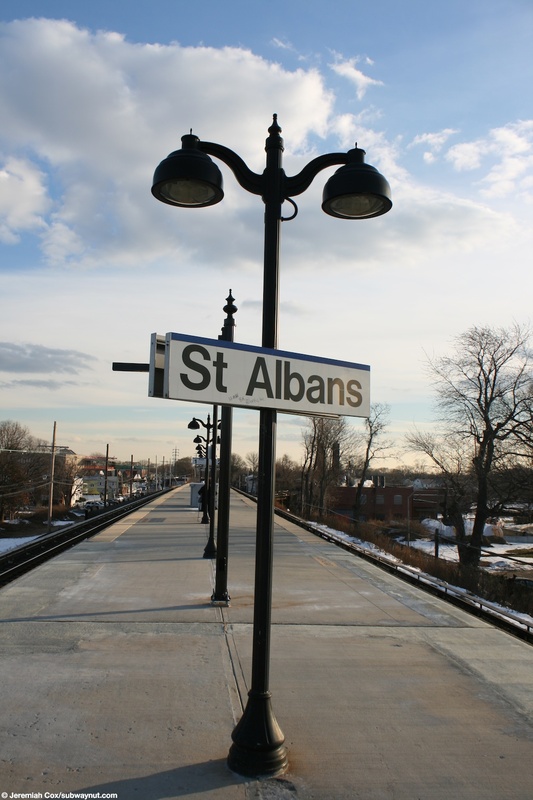 St. Albans is the one still open intermediate station on the Montalk Line although the stop is listed on the West Hempstead Branch timetable (and the only stop served on weekends), although all but 3 peak AM inbound trips are served by Babylon Branch trains stopping at the station that get special mention on destination sings saying the trains serve the station (Photo of sign at Jamaica). 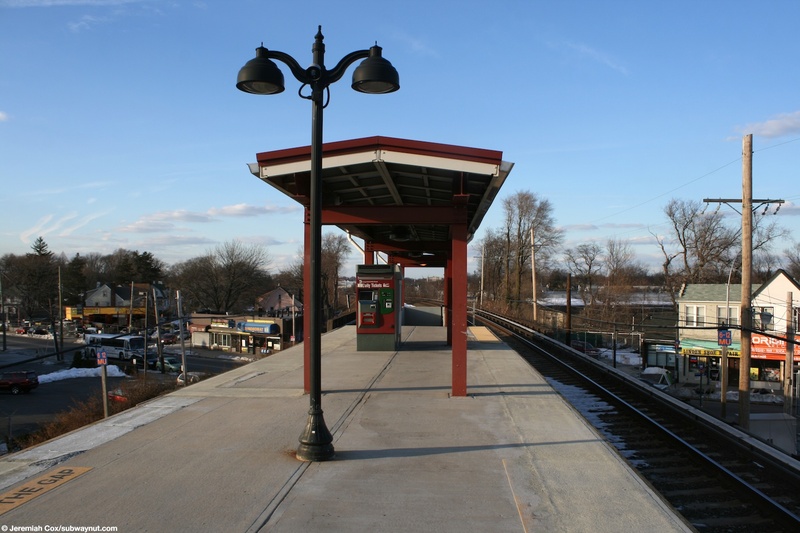 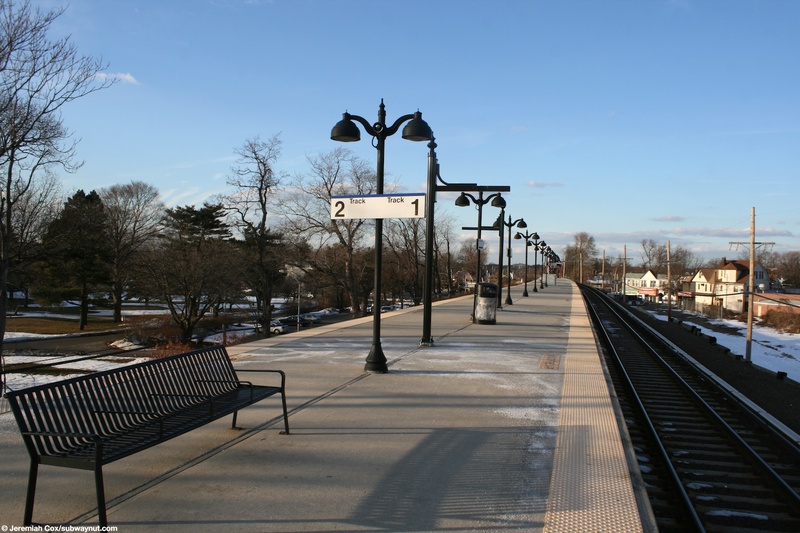 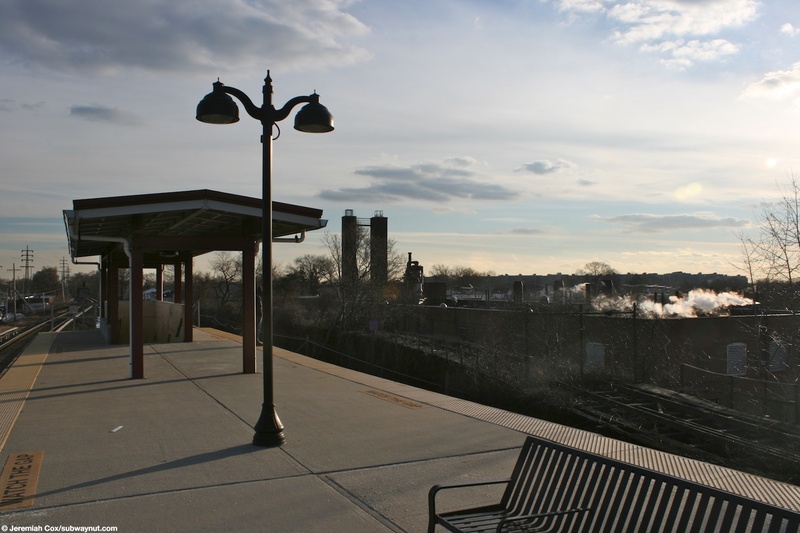 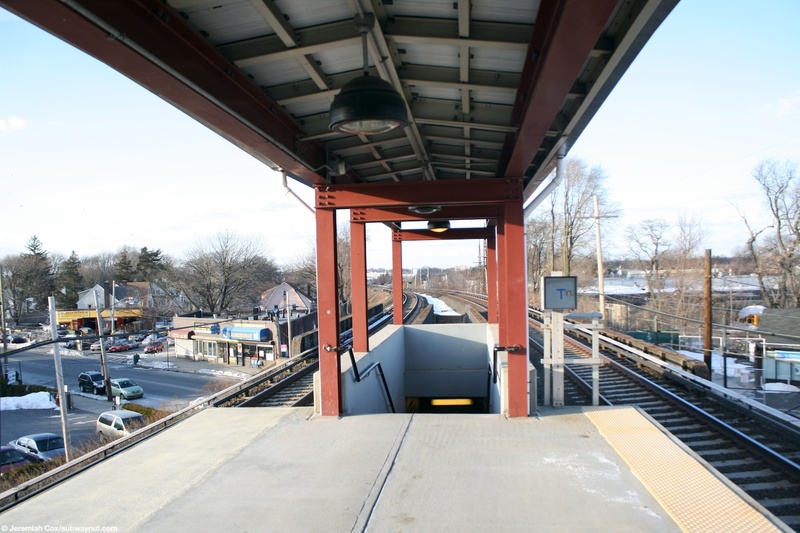 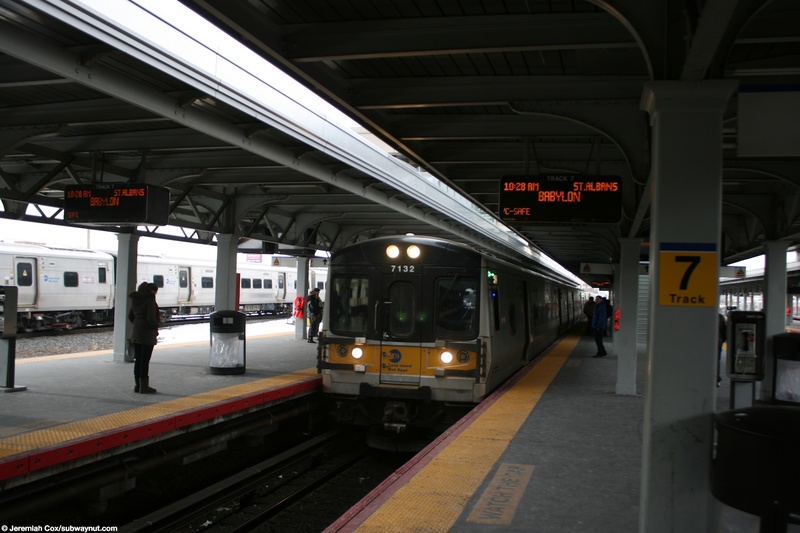 Babylon and Montualk Branch usually bypass the station frequently although they can also be directed via the Atlantic Branch (Locust Manor), switching back when the branches meet again at Valley Stream. 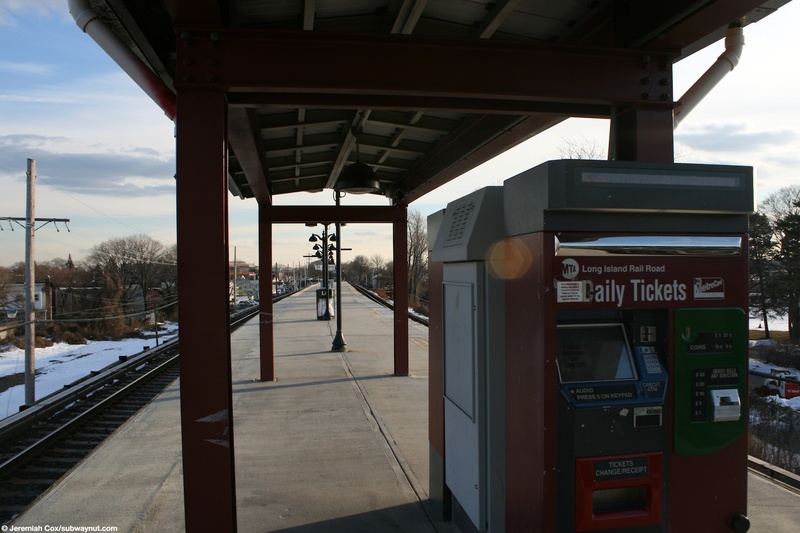 Service to the station is generally hourly or better during weekdays with only service every other hour on weekends. 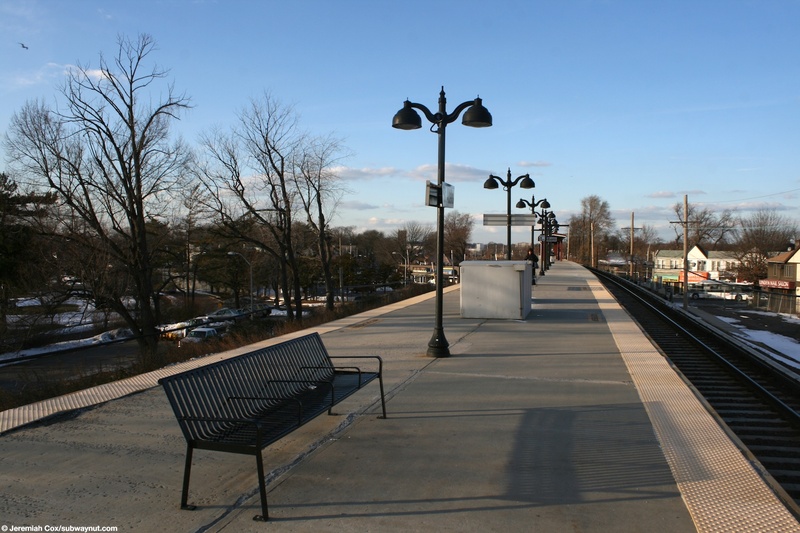 The stop has a single island platform on an embankment for the two track line. 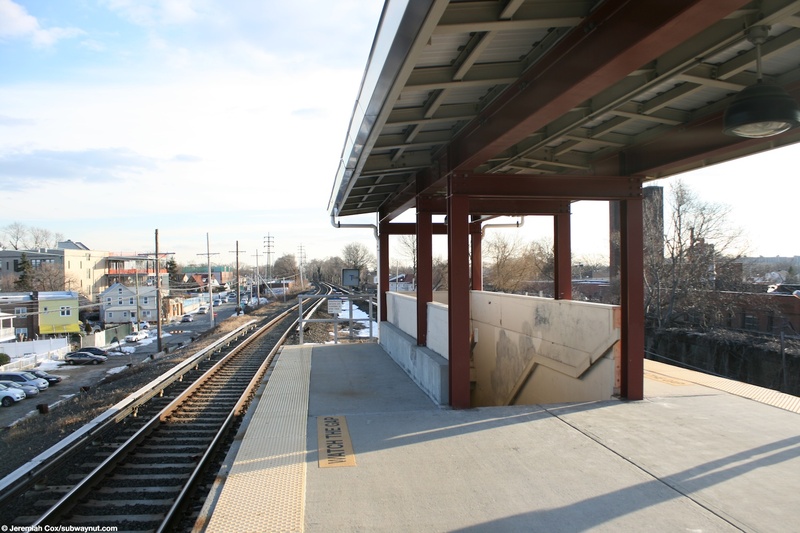 The narrow island platform fits six cars and is has two access points at either end. 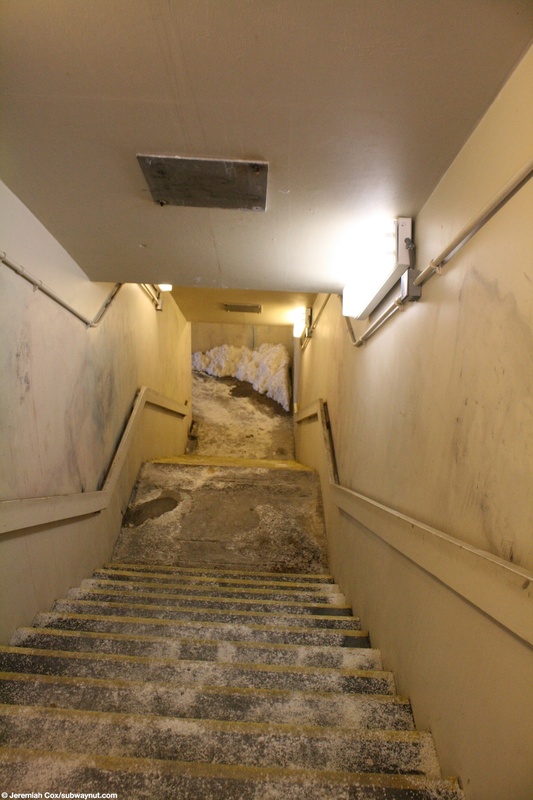 It is not ADA compliant. 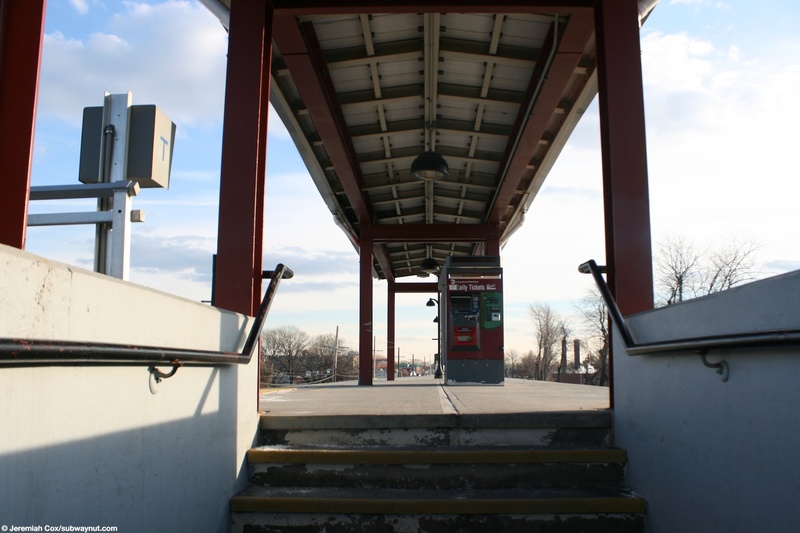 At the western end is the main entrance from a single staircase up form the southern sidewalk of Linden Blvd's underpass, between 180 Street and Newburgh Street. 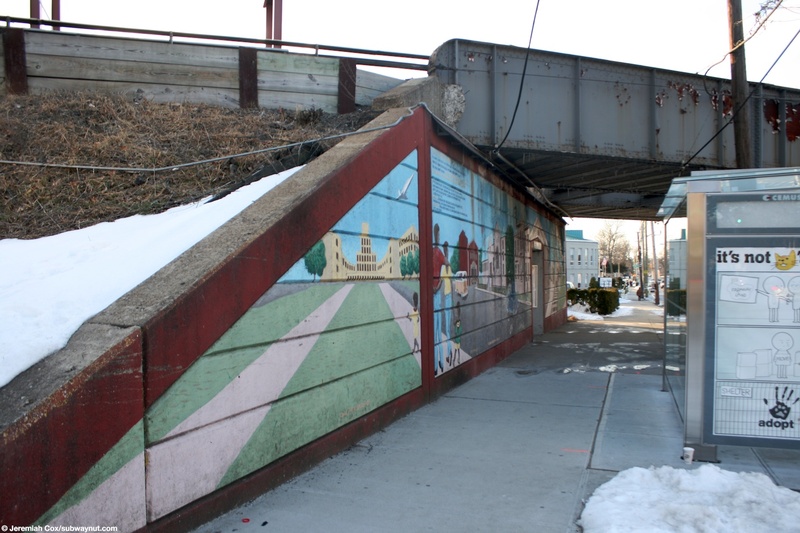 The sides of the underpass are painted with murals, the northern sidewalk is called St. Albans Greatest: They Lived Here. 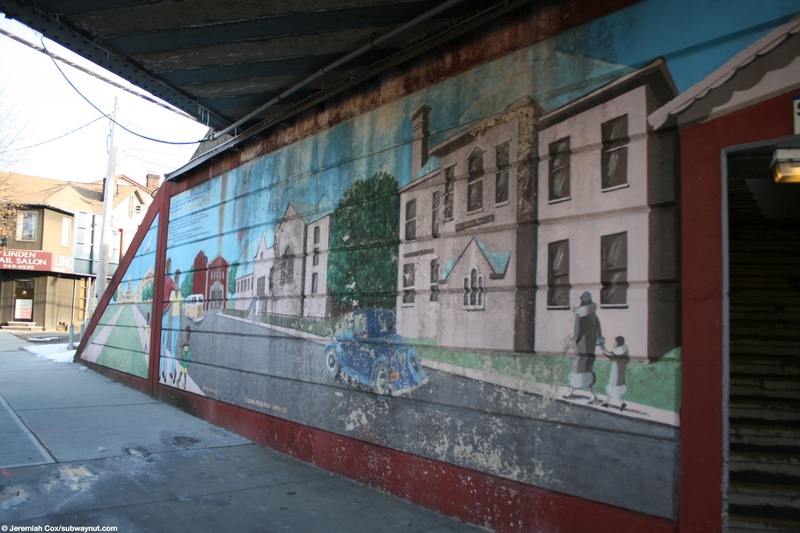 The southern sidewalk is a community scene Including a neat decorative portion over the station's staircase that looks like the entrance to a house. 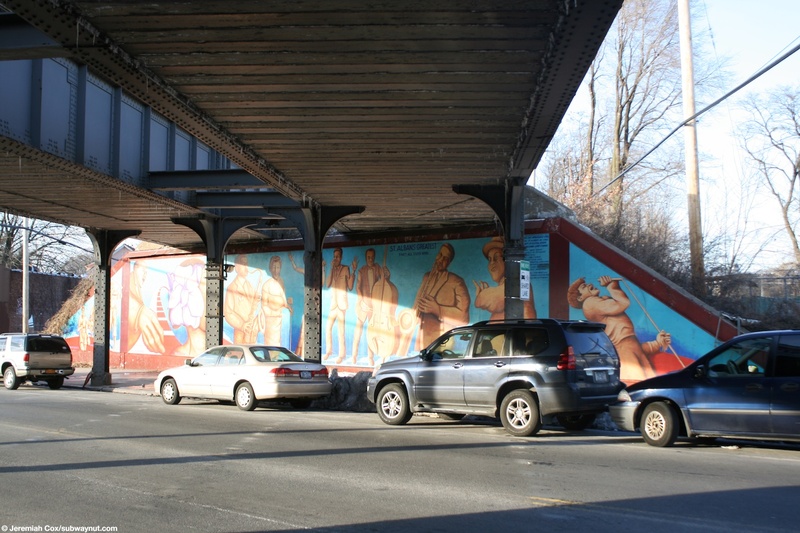 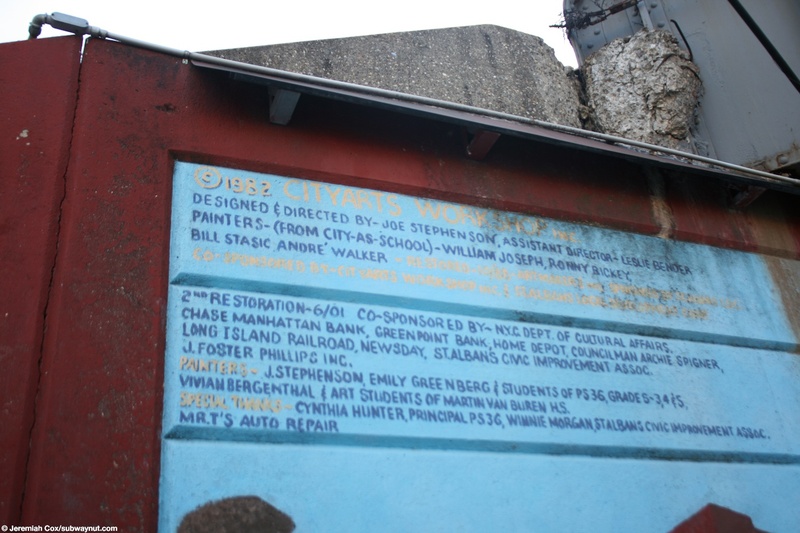 The murals are in remarkalbe shape having been painted in 1982, although there is a credit for two restorations one in 1988 and one 2001 with the LIRR listed as a sponsor. 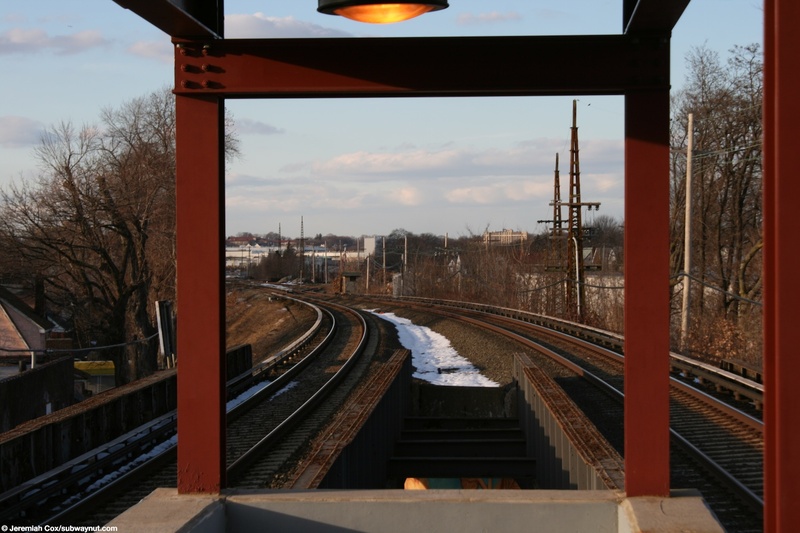 This leads to a small portion of the platform that is canopied beneath where the station's two TVMs are beneath. 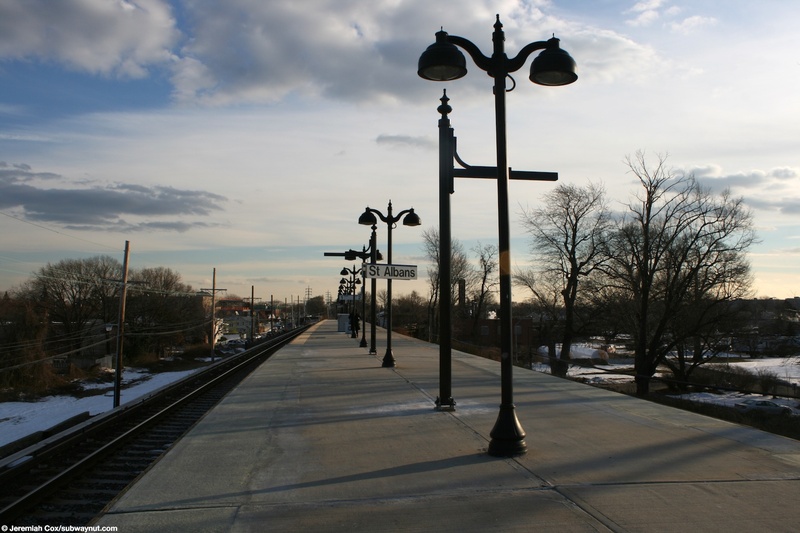 The middle of the platform consists of simply some benches and bare lampposts. 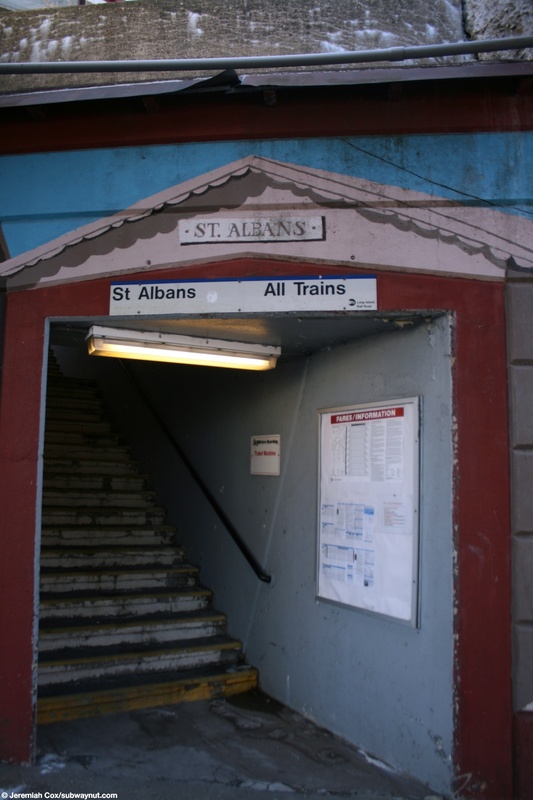 The southern end of the platform has a tiny canopy that leads to another staircase at the extreme southern end of the platform. 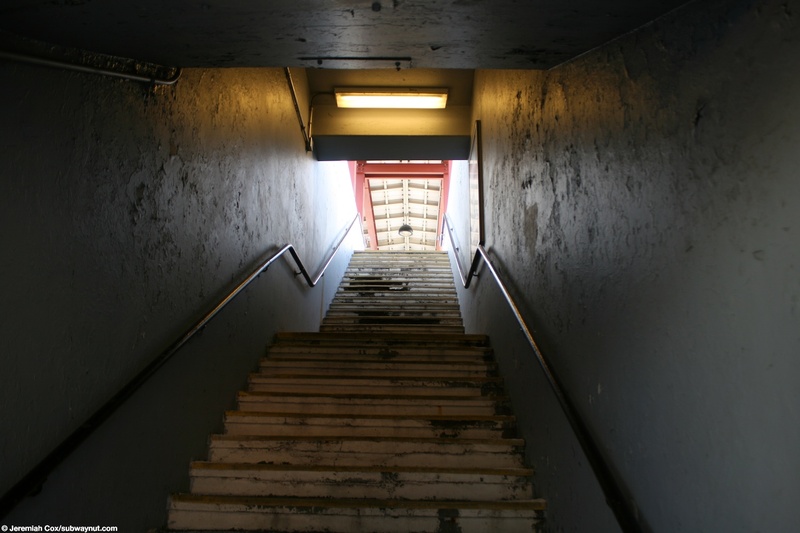 This exit leads to a short pedestrian tunnel that curves beneath the general New York-bound track. 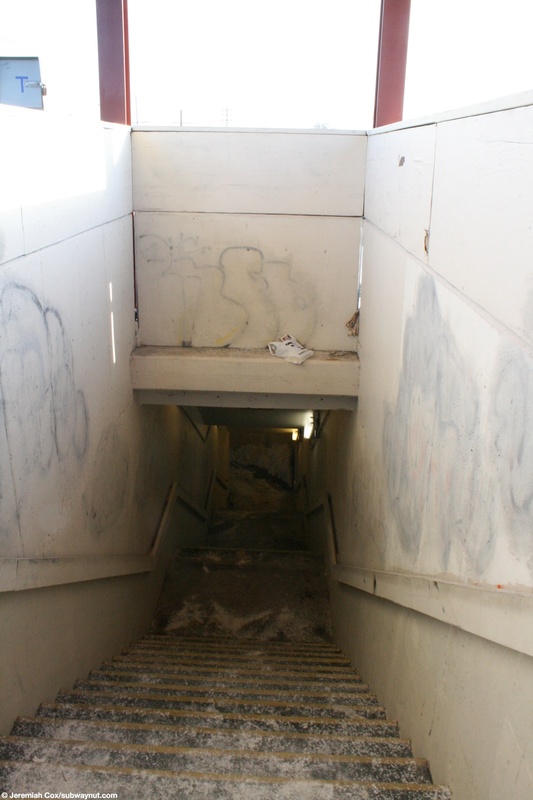 It ends at a strange dirt road intersection between two sections a street that is named Foch Blvd. 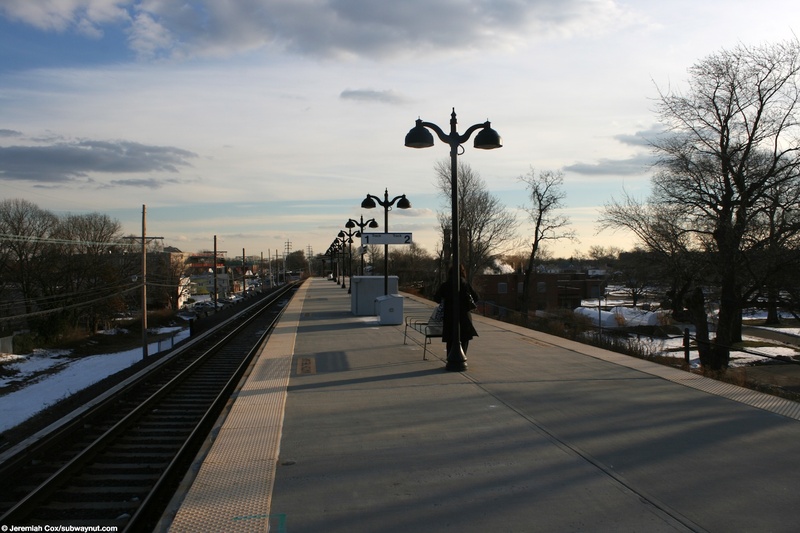 There abandon branches it feels like a place of neglect.